Asset protection planning is a growing area of practice for many members of the estate planning team. But, it is not something that one member of the team can do alone. It may not take a village, but it does take a team. In addition to specific legal strategies that may be of critical importance in planning for high-risk professionals and others at risk, there are financial strategies that will substantially increase the likelihood that an asset protection plan will achieve its intended objective. Likewise, without cooperation among the advisor team, there is great likelihood that the plan will fail to be implemented or fail in practice. In this issue of The Wealth Counselor, we will examine a variety of asset protection strategies - from rather simple to quite complex, how they work, the levels of protection they can provide, how these strategies can work together, and the advisor team approach to asset protection planning. A member of the advisor team will have that initial conversation, and the client, being or becoming aware of their personal need for some asset protection, will express interest. The very next step should be for the advisor to bring in the rest of the team so that the case can be evaluated and the options for the client identified. 1. Initial Meeting - Awareness: In this meeting, the client (or prospective client) and a member of the advisor team first discuss asset protection. That first discussion may be with any team member – financial advisor, CPA, life insurance agent, retirement plan administrator, attorney or some other. If this is the first meeting between the advisor and a prospective client, the central purpose of the meeting will be to gather basic financial information, discuss the client’s objectives and establish a relationship with the client. Asset exposure is just one facet of that discussion. Planning Tip: Because asset protection planning is most attractive to those who have a higher than average risk of being sued, it is critically important to determine early how much information the client is willing to share and should share with various members of the advisor team. For example, it may be vital to preserve attorney/client privilege and therefore not share specific risk information with non-attorney advisors who could be subpoenaed. 2. Advisors’ Meeting: After the initial meeting, the advisor team meets together without the client present to brainstorm. They review the client’s objectives, discuss various legal and financial solutions, and determine a consensus solution to meet the client’s need. Planning Tip: It is critically important to “vet” all potential ideas and concerns here, not in front of the client. Failure to do so can, and often does, doom the planning – which hurts both the team members and the client. A unified solution implies wisdom. If there is dissention in the team, the client will sense it and often end up doing nothing. 3. Client Solution Meeting: With a plan in agreement among the advisor team, the final meeting is to present that plan (including all of its legal and financial components and costs) to the client and get the client’s approval to proceed. The probability of success at this meeting is enhanced by having more than one team member present. A trusted advisor nodding in approval while another team member makes the presentation is an extremely powerful influence on the client. Planning Tip: Communicating with the client in the most effective way enhances success probability. Some people are auditory learners, some tactile, and some visual. If the learning style of the client is unknown, deliver the message in multiple styles. Also, determining the client’s social style profile (analytical, driver, expressive or amiable) will enable the team to communicate with the client much more easily. (Search online for “social style profiling” for more information.) Depending on how long the lead team member has known the client, he or she may be able to convey that information to the other team members to help them prepare for the Solution meeting. In the initial meeting, it is important to lay the groundwork and set some reasonable expectations for how asset protection planning works. It is useful to explain what asset protection is and isn’t, how the laws work, and what they can expect. Asset Protection is not about hiding or concealing assets. It is about using the existing laws appropriately to obtain the best possible level of protection for the client’s assets in case an attack comes along. During the initial meeting, discuss client objectives. * Most people would like to have a high degree of certainty of the outcome. You may have to temper their expectations by explaining how the law works and that there may be circumstances that nobody can effectively control. Asset protection is time consuming, but worthwhile - the end result should be considerably better than if the client had done no planning at all. * An effective plan will discourage lawsuits from the outset. We cannot make the client’s assets appear not to exist, but we can create a structure that will make it much less attractive for a potential plaintiff to go after our client than to go after someone who has done no planning. * Clients should avoid liability traps such as owning assets in general partnerships or in joint ownership where they are exposed to problems and risks another owner may have. Professional Liability: Those who most often need asset protection planning have professional liability risks – such as physicians, surgeons, dentists and other health care professionals, lawyers, architects, accountants, and sometimes those involved with business enterprises that pertain to health care, such as skilled nursing facilities and assisted living facilities. Those in construction (builders, developers) are also concerned. And, in a down economy, some people are concerned about having signed personal guarantees for real estate development or other purposes. As a general rule, one cannot limit one’s own professional liability through a legal device. Also, most state statutes do not permit nonprofessionals to own a portion of a professional practice. For those concerned about professional liability claims, the best first step is to have adequate malpractice insurance. Professional Liability of Others: A physician or surgeon needs protection against malpractice claims against others in the practice. They will want to know what can be done to protect themselves from that exposure. Putting that protection in place is a good second step beyond having adequate malpractice coverage. Non-Practice Personal Liabilities: These could be business deals (possibly real estate) that have gone bad or tort claims (car accidents, etc.). Even within the practice there could be non-professional liability claims, such as employment practices, employment discrimination, sexual harassment claims, and even such things as slip-and-fall claims. Other Liabilities: These include income and estate taxes; a practice member’s spouse or ex-spouse claiming an ownership interest in the practice or another entity; children’s spouses and ex-spouses and their behavior which can lead to loss of family assets, etc. All of these are meaningful risks that should be addressed in that initial meeting. Planning Tip: Almost everyone knows about someone who had some kind of problem and then lost everything. The best time to plan is before the claim arises. There are different rules that apply for known creditors and unknown future creditors. But even with an existing claim, and sometimes even when a judgment has been entered, some options (such as an ERISA qualified plan) may still be available. Planning Tip: Check your state’s laws to see what is allowed and whether the ERISA protection is limited to bankruptcy or might include state law proceedings. Note: It is highly important to avoid fraudulent transfers, which are transfers of assets not necessarily occurring with intent to defraud but without full and adequate consideration. If there is a fraudulent transfer claim, the advisors who helped implement the plan are likely to be dragged in and forced to defend themselves and may be personally liable. Combinations of strategies often work best in asset protection. Also, it is important to crawl before walking. Therefore, asset protection planning is often done by levels, usually starting at the lowest. Not every level will be appropriate for every client. Certain assets are automatically protected by state or federal exemptions. State exemptions include personal property, life insurance, annuities, IRAs, homestead, joint tenancy or tenancy by the entirety. Different states protect assets differently and amounts of the exemptions will vary greatly from state to state. For example, some states have an unlimited homestead exemption; many states protect all IRAs; and many non-community property states recognize tenancy by the entirety, which is a great way to shelter the interests of the spouse who is not at risk. Federal exemptions include ERISA which covers 401(k) and 403(b) plan accounts, pensions, and profit-sharing plans. Creating and funding qualified retirement plans for clients can provide excellent shelters against creditors’ claims. Typically these plans must also include one or more non-owner employee participants in order to be covered by ERISA. Skillful pension actuaries can be very helpful with this. Also, the Pension Protection Act protects up to $1 million in IRAs for bankruptcy purposes. Planning Tip: With today’s low interest rates, defined benefit plans are becoming popular again. Instead of the required annual fixed contributions of the past, the IRS now allows almost as much flexibility with defined benefit plan contributions as it does with profit-sharing plans. Contributions can also be increased dramatically to allow for the use of life insurance within the plan. Life insurance can be an especially valuable asset because death benefits are not subject to income or capital gain tax, and if done right, no estate tax. Planning Tip: Sometimes it is possible to convert non-exempt assets into exempt assets. For example, cash (a non-exempt asset) can be used to pay down a homestead mortgage and increase exempt home equity. This can be especially useful in states with a large or unlimited homestead exemption. Another possibility would be taking an IRA that might not be well protected under state law and putting the assets into an ERISA qualified retirement plan which is unreachable by third-party creditors during the pay-in period (some portion of required minimum distributions may be reachable by creditors). These allow clients to convert community property assets into the separate property of the spouse not at risk. Make sure the client is aware that once transferred, it stays separate property and cannot become community property again without another transmutation agreement. Separate counsel may be needed to make this work. 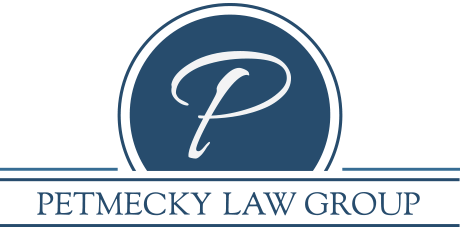 Plus, there may be enhanced risk of loss in case of a divorce. State laws will vary on this. If available, a PLLC is usually more desirable because of the charging order limitations that prevent the creditor from seizing any assets from the entity, limiting the creditor to only receiving distributions that would have been made to the affected debtor-member. In addition, the creditor may have to pay tax on any income that is distributed under a charging order. This is often enough to discourage a creditor from pursuing a claim. Using a jurisdiction that allows the charging order as the sole remedy is also very useful. LLCs can be created to own specialized or valuable equipment and/or real estate to remove these assets from the professional practice. “Lease back” agreements can then be created between the professional practice and the leasing LLCs. This allows us to segregate real estate, equipment and even securities accounts from malpractice exposure. It also allows for good estate planning by having the leasing LLCs owned by irrevocable trusts for the benefit of other family members. Consider the formation of a family limited partnership or family LLC in a favorable jurisdiction that has the charging order as the sole remedy to own non-practice assets. These would include personal use real estate, investment accounts, cash or bank accounts, and investment real estate. With a personal residence in a state with limited homestead protection, one might borrow to maximize the home mortgage and transfer the loan proceeds to a domestic asset protection trust (DAPT), which then becomes a member of the LLC/FLP. (It is better to have the DAPT established first for interim protection.) The client would retain the personal right to reside or retain a life estate in the residence. Planning Tip: Because home mortgages and home equity lines of credit are currently hard to get, a qualified personal residence trust (QPRT), established as an ongoing trust to benefit younger family members, can also be used. However, because it is a self-settled irrevocable trust, some states have limitations that can reduce a QPRT’s effectiveness for asset protection. Also, the funding of a QPRT when there is a known claim could be considered a fraudulent transfer. Non-practice or leasing LLC assets can be transferred to a DAPT before any claim arises. Having a multi-member LLC increases the charging order protection. There are some issues with Level 6 planning, and it is important to disclose these to clients. For example, in a state that does not recognize self-settled irrevocable trusts the creator of the trust cannot be a beneficiary. In that case, the spouse and children would be the initial beneficiaries; a flight provision might be included so the assets could go to another jurisdiction; and a trust protector would probably be named to oversee the trustee, change the trustee, direct the trustee to move the trust to another jurisdiction, and even be able to decant and move the assets to another trust for the benefit of the same beneficiaries. The alternative is to establish the trust in a jurisdiction that allows the grantor to be a discretionary beneficiary. (Alaska, Delaware, Nevada and Wyoming are popular.) Each state has its own rules that will need to be satisfied. For example, the trustee may be required to be sited in that state and some of the trust assets may need to be held in that jurisdiction. Associating local counsel in the chosen trust jurisdiction may be appropriate. Planning Tip: A trust can be designed so that transfers to it are, for estate tax purposes, completed or incomplete gifts. Incomplete gifts are included in grantor’s estate for estate tax purposes and get a basis adjustment at death. Be sure to determine what is best in each case. These are established under the laws of a foreign jurisdiction. (The Cook Islands, Bahamas, Bermuda and the Channel Islands are all popular choices.) With an offshore trust, the assets are in the hands of a local trustee and are outside the reach of any U.S. court. However, there may be tax issues. Also, if the court orders the assets repatriated and they can’t be, the client could be cited for contempt and even jailed. The advisors independently and collectively will make a list of the assets and determine where they need to go. It can easily take six months to a year to fully fund a comprehensive asset protection plan, and it’s usually done in steps and pieces. During the funding process, it’s very important to keep the client informed and keep the advisors on a timeline. Planning Tip: Because clients are often living into their 90s, the plan will need to be flexible to accommodate changes over 20 or more years. An asset protection trust is irrevocable, but ideally it can also be changeable. That’s where the trust protector comes in. Asset protection planning is a valuable, challenging and rewarding area in which the advisor team has many opportunities to work together for the benefit of the team members and their clients.